Kathmandu Model Hospital needed a functioning operating room. We asked our supporters for help, and within just 24 hours, had raised $150,000 – enough for our partners, phect-NEPAL to repair and restore functionality to the operating room. We will also be forever grateful to Frank Richardson for his incredible gift that provided a 2:1 match to our donors’ funds. Photos taken by Navesh Chitrakar, March 2016. Much has changed in the year since the earthquake. 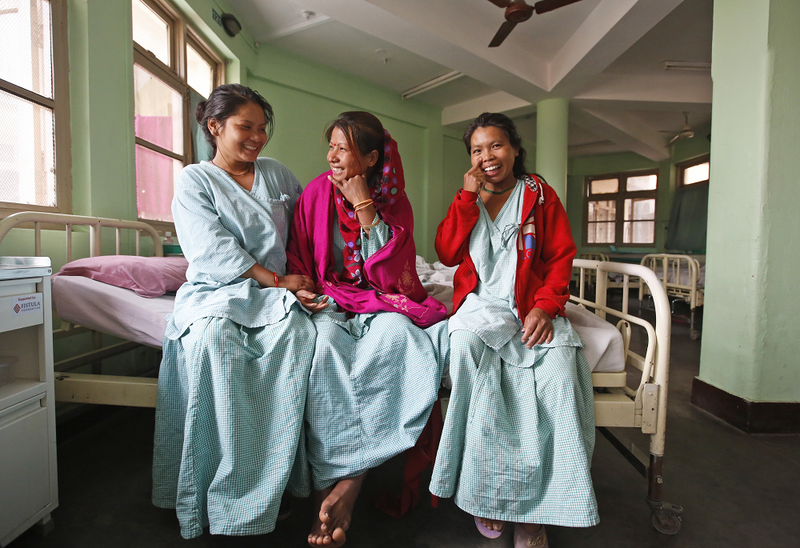 Beautiful photos captured by photographer Navesh Chitrakar show what life looks like today in the fistula ward of Kathmandu Model Hospital. In the video clip below, fistula surgeon Dr. Aruna Karki describes the scene on that terrible day. And she provides a look at how the hospital has recovered, and the hope being restored to fistula patients once again – thanks to the generous support of Fistula Foundation donors like you. 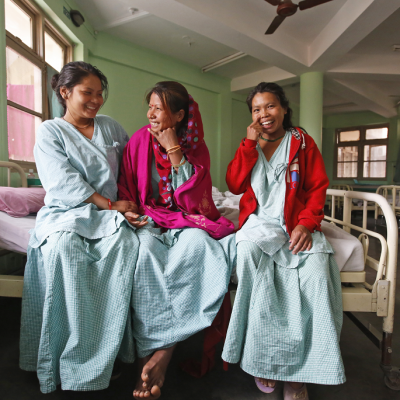 Fistula Foundation has committed additional funds to help our partners at phect-NEPAL conduct patient oureach, build treatment capacity of surgeon and fistula care providers, and provide free fistula repair surgeries to 75 women. Or, leave your message of support for our partners at phect-NEPAL/Kathmandu Model Hospital by filling out our e-card below. What message would you like to add to below for our partners in Nepal? Let them know you're thinking of them from your corner of the world. Nepaleanse fortitude is applauded by a world watching recovery from such a disaster. Very happy that your hospital is in opperation again! Thank you for the life altering surgeries that you provide. – Cherokee Doerflinger, U.S.